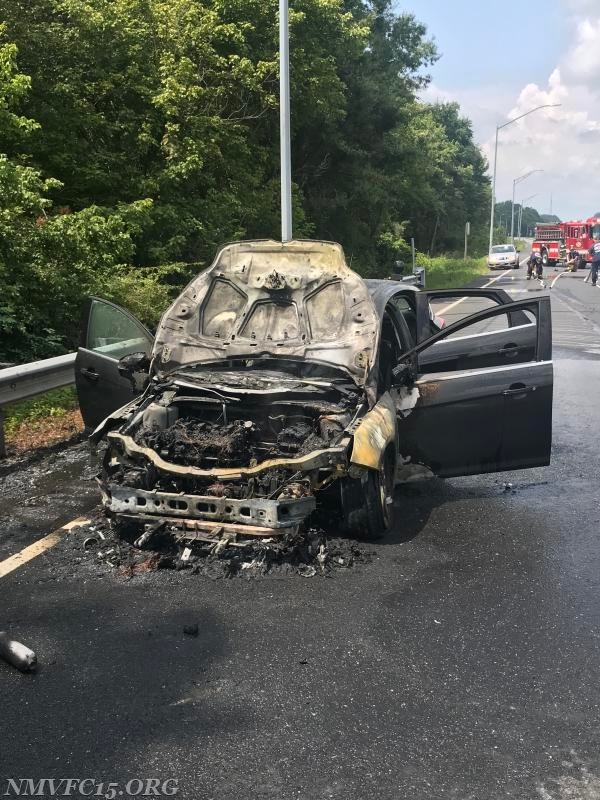 On Sunday August 12th, E152 & A159 as the Eastbound assignment and CCE12 as the Westbound assignment were alerted for the report of an Auto Fire on Interstate 70 in the area of the 62MM, while responding ECC provided updated information stating the call was east of the 62MM. E152(FC Nalborczyk), RS15(AFC Bowles) and A159(FF W. Kennedy III) responded on the response with nine (9) personnel. First arriving E152 found an auto with fire in the engine compartment Interstate 70 eastbound in the area of the scale house. E152 went to work placing a line in service and extinguishing the fire, the assignment was held to Co.15 units and the rest returned to service.